Although values on Brickell have been increasing at a rapid pace over the past few years, there are still some great opportunities to live in the area for an affordable price. The Riley Smith Group has just listed a fantastic unit at the sought after building of Costa Bella for $350,000. Costa Bella is located on Brickell Bay Drive, a quiet waterfront street in the heart of Brickell. 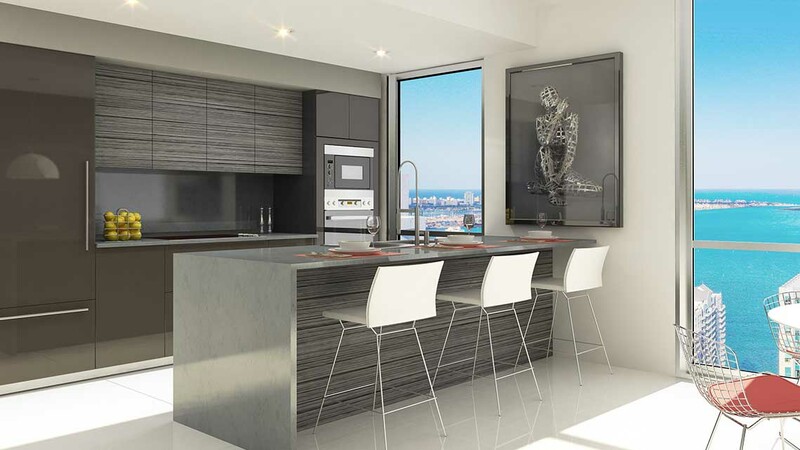 It is just a short walk from Mary Brickell Village and soon to be completed Brickell City Centre. Our listing (Unit #906) has 2 bedrooms, 2 baths with 1,009 square feet of living area and gorgeous views of Biscayne Bay. Some of the special features include a large master bedroom with walk-in closet, cherrywood laminate flooring, 1 assigned parking space and plenty of visitor parking for guests.